You might know mozzarella as that stringy cheese on your pizza, but how about the fact that this formaggio fresco also comes in other forms? 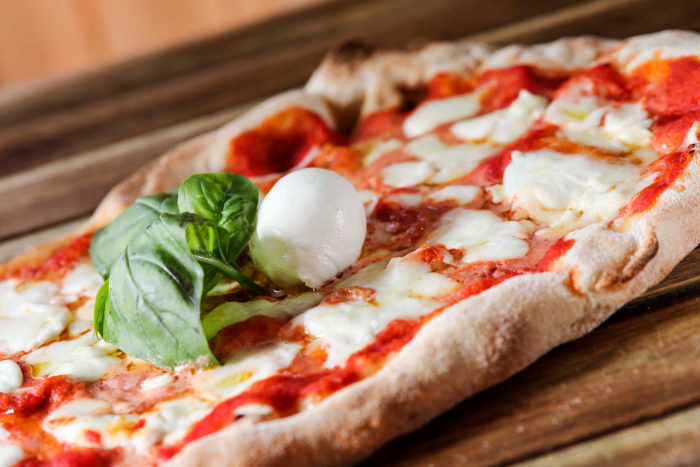 Or that one of the best places to taste delicious mozzarella in Singapore is the newly-opened The Mast'? Hailing from Rome in Italy, this is where lovers of the famous Southern Italian cheese can bite into fresh mounds of goodness made daily - and by a very expensive machine too. The Mast', which is what a cheese "master" sounds like in a southern Italian dialect, is not a swanky restaurant where you shell out $40 for a plate of black truffle tajarin. Here, the pasta goes for roughly half the price, and the best one is the Bigoli ($20) - long and thick strands of pasta coated in very fragrant and fresh tomato sauce, basil leaves, and soft stracciatella that's made on site. The machine: a large green contraption inside a 'cheese lab' with a glass window that looks out onto the walkway a la Din Tai Fung. But instead of xiao long baos, you see mounds of perfectly-shaped mozzarella balls popping out into a tub of water. Currently, they produce 35 of these a day, each weighing about 125 grams. You can take them home in nifty containers, or try the ones in-house that are served between 13 to 15 degrees for that voluptuous milky succulence. 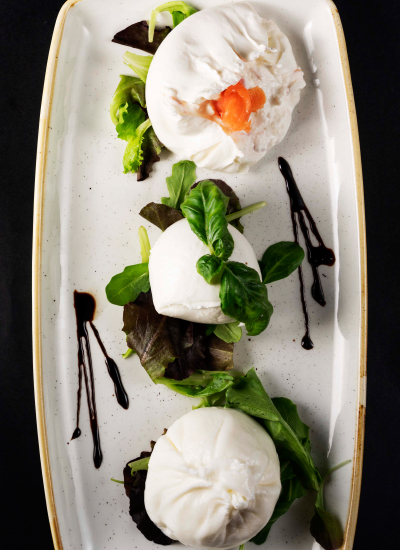 The Tris di Bufala ($28) is a platter of burrata, mozzarella, and another special burrata of the day that might be filled with anything from gorgonzola to cherry tomato confit. Puglia-born Executive Chef Cataldo Chiloiro tells us that their cheeses start with buffalo milk from farms in Valle Dei Templi in Paestum, a town known producing wonderful mozzarella. The accompanying schiacciata bread is a crisp thing that's loaded with fresh herbs, and makes for a delicious vehicle for the cheese. If you don't have an aversion to mushrooms, you should order the hearty Crostini E Fungi ($16). 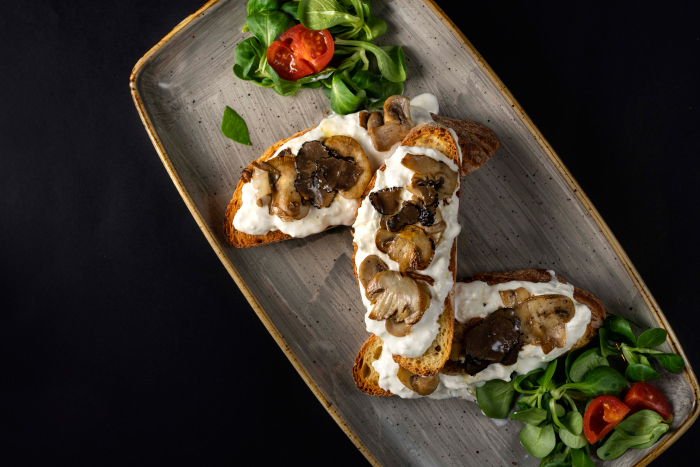 Sliced portobello mushrooms and truffle oil (the good kind) on crusty grilled artisanal bread - pane di altamura, to be exact - and a lot of soft stracciatella. Both pair well with some Verdure Grigliate ($18), a tangy antipasti of pickled vegetables like zucchini, tomatoes, artichoke, and aubergine. These are imported from Italy and have a flavour that sits right with your milky cheeses. Try the Salmone Schiacciata ($18), a traditional Roman flatbread (you know, the crunchy one full of air pockets?) stuffed with chunks of flaky grilled salmon, zucchini, and herbaceous basil pesto that brings it all together. But if you are already beginning to feel stuffed, there is something even better: pinsa, or the predecessor of pizza. Compared to the heavy-crusted round pizzas, the oval pinsa uses a wetter dough that creates a lighter, airier crust. Incidentally, it generally has fewer calories and less fat as well. The Napoletana Pinse ($12) is the most classic, and sees nothing more than excellent tomato sauce, large half anchovies, and lemony capers. Obviously, it's delicious. Somewhat disappointingly, none of the desserts - frozen sponge cake with black cherry and pistachio semifreddo - have cheese in them. Though once we remember that neither do some of the best dishes at The Mast', we relented and were pleasantly surprised. You might be too.